The Japan Foundation Asia Center presents "FUN! FUN! ASIAN CINEMA" introducing Southeast Asian films which straddle various genres and generations from popular classics to slightly maven films. In the fifth edition of "FUN! FUN! ASIAN CINEMA", we will present a new type of art horror film Dearest Sister (2016) by the first Lao female director, Mattie Do. Dearest Sister (2016) was submitted as the first Lao entry for the Best Foreign Language Film for the 2017 Academy Award and it will be the first time to be screened in Japan. 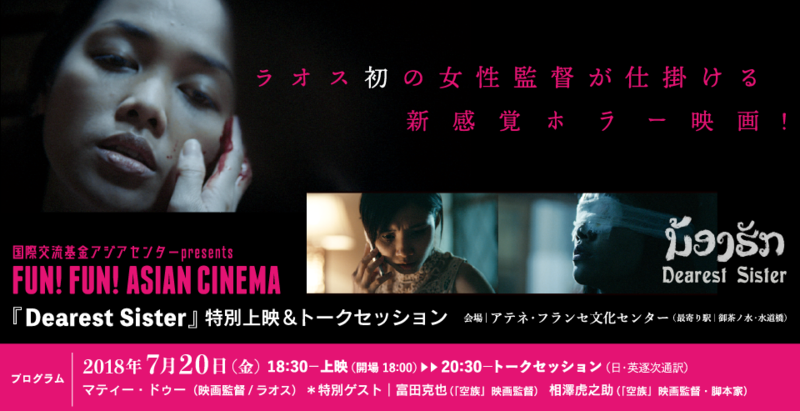 Coinciding with the screening, the Film School of Tokyo will hold a master class entitled "The Trend of Horror Films in Asia" lectured by Mattie Do and Makoto Shinozaki. Why not experience with Mattie Do the new trend of Lao film that continues to be developing under the historical influences? Dearest Sister tells the story of a village girl from southern Laos who travels to Vientiane to care for her rich cousin who has mysteriously lost her sight, and somehow gained the ability to communicate with the dead. When the poor girl realizes that her cousin is receiving messages from the spirits that allow her to win the lottery, she has to choose between nursing her cousin back to health or keeping her sick in order to get rich herself. Trained as a makeup artist, Mattie had spent time on set for various independent productions both in Europe and America, and within a few months of arriving, she'd found a home at Laos' oldest production company, Lao Art Media, developing her first micro-budget feature, Chanthaly, the 9th feature film produced in Laos, and the country's first horror film. The film premiered at Fantastic Fest in Austin, Texas, and ended up playing more than 30 festivals over the next three years. She also co-produced Katsuya Tomita's Bangkok Nites which won the Junior Jury Prize at the Locarno International Film Festival. 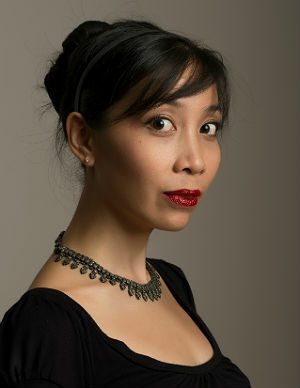 Mattie's second film, Dearest Sister, a co-production between Laos, France and Estonia, premiered at Fantastic Fest, BFI's London Film Festival, Sitges International Film Festival, Singapore International Film Festival, and many international festivals. It is the first Oscar submission from Laos to The Academy Awards for Best Foreign Language Film. Mattie is Laos' first, and only, female film director. Born in 1972 in Yamanashi Prefecture. After creating the independent production team "Kuzoku," Tomita released many critically acclaimed works. Saudade (2011) won the Golden Montgolfière (Grand Prize) at the Festival des 3 Continents in Nantes, France and the Swiss Critics Boccalino Award at the Locarno International Film Festival. 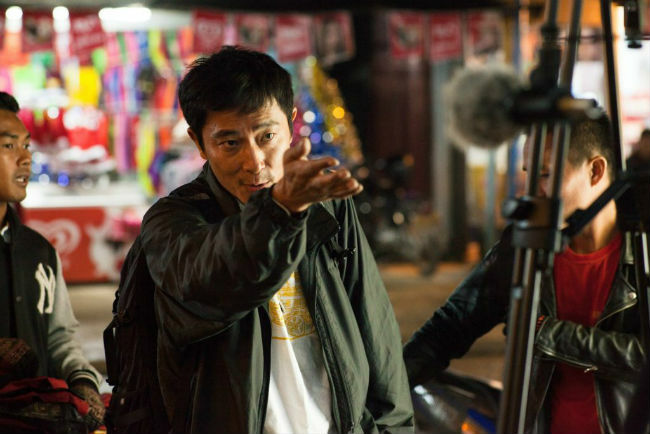 His most recent work Bangkok Nites (2016) won First Prize of the Junior Jury Award at the Locarno International Film Festival and received the 72nd Mainichi Film Awards for both Best Director and Best Music. Born in 1974 in Saitama Prefecture. After taking part in the Waseda University Cinema Club, Aizawa joined "Kuzoku." His directorial work Flower Story Babylon (1997) was shown at the Yamagata International Documentary Film Festival. Guns of Babylon (2012), featuring a narrative set in Thailand, Vietnam and Cambodia, premiered at the Bakuon Film Festival. Since his participation in "Kuzoku," he has co-written screenplays for several films by Director Katsuya Tomita. 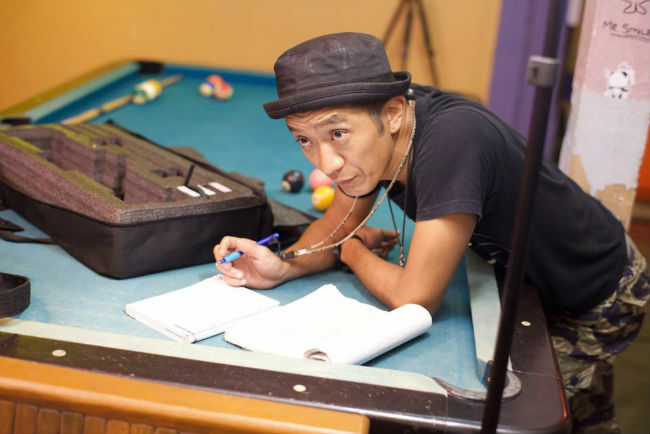 The Film School of Tokyo will hold a master class with directors Mattie Do and Makoto Shinozaki, entitled "The Trend of Horror Films in Asia" for those wanting to discover the current trends of Horror film production in Southeast Asia. How to book: Please apply through the Film School of Tokyo's official website.